In this paper, we study symmetric Finsler spaces. We first study some geometric properties of globally symmetric Finsler spaces and prove that any such space can be written as a coset space of a Lie group with an invariant Finsler metric. Then we prove that a globally symmetric Finsler space is a Berwald space. 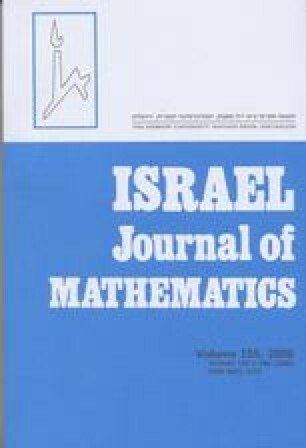 As an application, we use the notion of Minkowski symmetric Lie algebras to give an algebraic description of symmetric Finsler spaces and obtain the formulas for flag curvature and Ricci scalar. Finally, some rigidity results of locally symmetric Finsler spaces related to the flag curvature are also given. Members of LPMC and supported by NSFC (No. 10671096) and NCET of China.